Custom printing each order we process adds a significant cost to the finished product on smaller quantities. We have printed these packs so we can offer a lower price on a generic design. We have pre-set varieties that can be purchased in a display box of 100 or in our refill trays of 25. 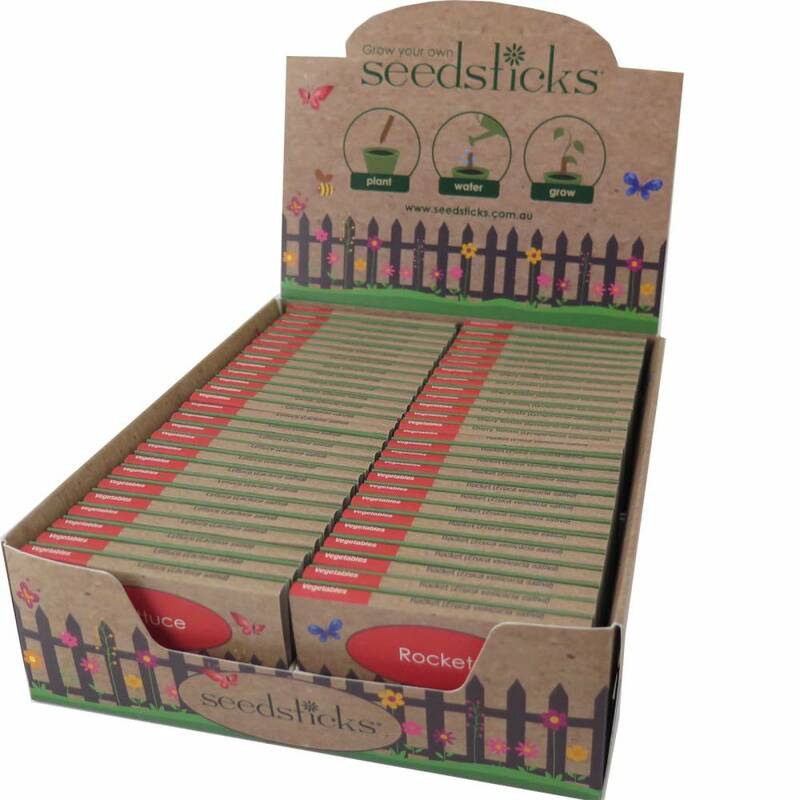 We have two 10 stick designs available with matching display boxes; our Seedsticks Generic Pack and our Seedsticks Sow Your Support Pack. For a brochure and order form that gives you more information and pricing please email us. If you are interested in a custom printed version we would be more than happy to discuss your requirements and provide pricing.